The ultra-conservative Kingdom of Saudi Arabia has dropped the barrier on females participating in athletic activities, the Education Ministry said Sunday. But this refers only to private schools, exempting a vast majority of kids. The ministry decree published in Saudi newspapers says that private schools for girls have been told to "put into effect a number of rules to regulate sports," Agence France-Presse. Although the reforms are being hailed as a progressive move in the predominantly-Muslim country, the measure appears to exclude the majority of students at state-run schools. At private schools, where the initiatives are being encouraged, the government has requested that school officials ensure girls wear "a covering and decent outfit" for sport activities in "suitable areas." The ministry directive also advised that female Saudi instructors receive top priority for employment positions at the educational facilities. The ministry pointed out that some private schools were already offering physical education, but without any regulations to follow. 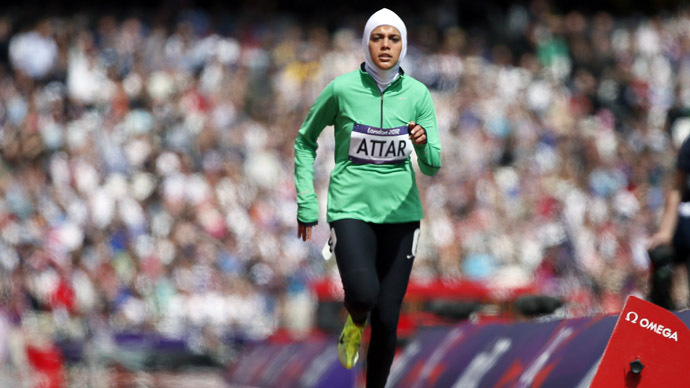 The issue of Saudi women participating in sporting competition entered the spotlight during the 2012 London Olympic Games. Saudi officials threatened to withdraw from the Games when the International Olympic Committee ruled that its female judo participant, Wojdan Shaherkani, could not wear a headscarf during competition. Today, many details in the lives of Saudi women are closely regulated by Sharia law derived from the Koran. Every adult woman is required to have a close male relative as her ‘guardian’, who is authorized to make a number of decisions on a woman's behalf, including the right to travel, to start a business, and study at university. Saudi women are prohibited from driving, and are required to cover themselves in public, among other restrictions.